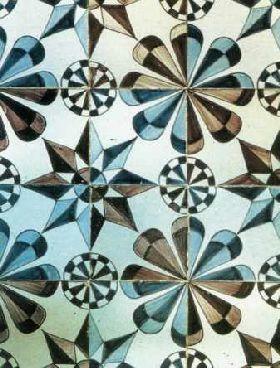 Fanø tile collection is one of the most beautiful collection of Dutch wall tiles from 1650 to 1900. Address: Cafe Nanas Stue, Sønderland 1, Sønderho. The people at Fanø found the wall tiles practical and beautiful. Tiles were first used behind the oven to reflect radian heat. Later on whole walls were covered with tiles. 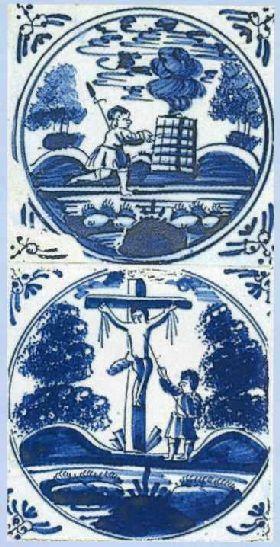 The tiles were made in Friesland and Holland. Tiles with vase motives are most common at Fanø and are often called Fanø tiles. The tile tradition in the Fanø houses is closely related to Fanøs great history as home for one of the largest fleet of sailing ships in Denmark. Sailing ships from Fanø cruised the oceans during 200 years. 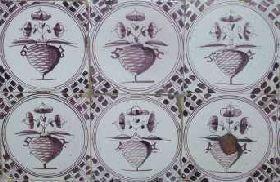 During the 19th century large amounts of tiles were brought home as ballast. 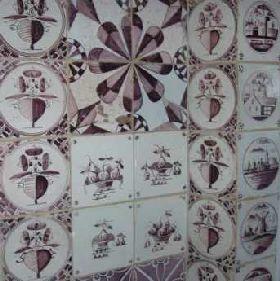 In some houses the tile walls were ruined when the housed were modernised in 1920-1970 but today the tiles are valued. The amount of tiles in different variations is higher in Fanø than in any other place in the Nordic countries.